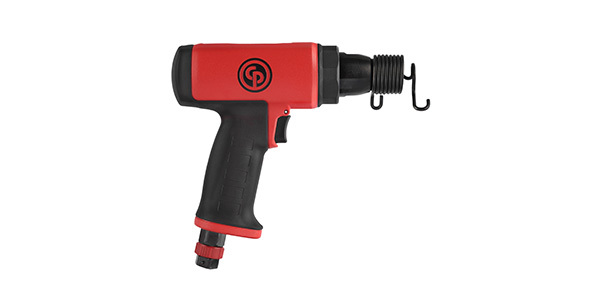 Chicago Pneumatic introduced a new low vibration hammer that is ideal for everyday general mechanic, body shop and MRO (maintenance, repair and operations) applications. There are two versions ­ CP7160 and CP7165 that are comfortable to use and powerful, so operators can get their jobs done quickly and efficiently, and reduce the risk of long-term injury. The new hammer provides great handling and is well balanced since the handle is not positioned right at the back of the tool, and it easily rests on an operator¹s hand. As a result, it is more comfortable to use than other tools in its class, so the worker experiences less fatigue and can use the hammer more easily for a highly productive day. The entire back of the tool is covered by a rubber grip to prevent the hammer from slipping when it is in an operator¹s hands, even if they are dirty or oily. Furthermore, the user can easily place their free hand on the back of the hammer to guide the tool more precisely. Furthermore, the hammer is lightweight and durable thanks to an aluminum motor housing and metal damped valve, which is more robustthan a composite one. 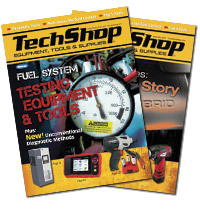 As such, the tool can easily withstand the typical conditions of a workshop, providing reliable use over its service life. All-in-all, the tool delivers the highest value in terms of performance, ergonomics and durability for its cost compared with other tools in its class, and is the perfect solution for everyday jobs such as cutting metal sheets or concrete, and disassembly tasks including rivets, screws and welding joints. The new hammers are backed up by Chicago Pneumatic¹s worldwide service and vast offer of spare parts and kits so users can ensure maximize uptime. More information on the CP7160 and CP7165 hammers is available here.